Special thanks to Lauren J. for this great idea. 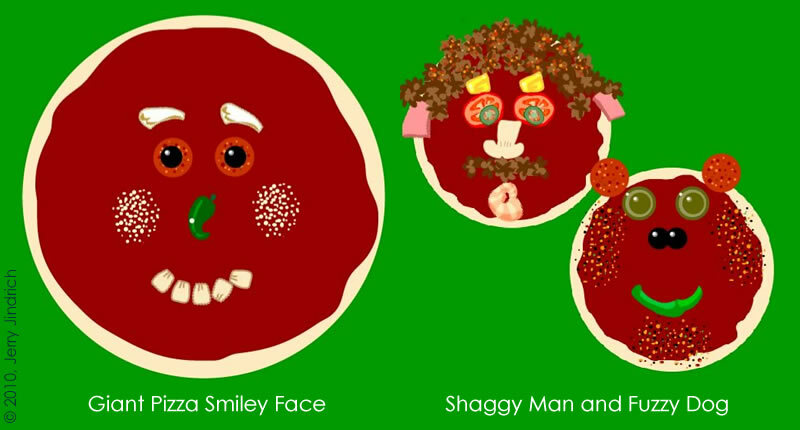 You can make funny faces on your pizzas. Here are some examples. Make all you want. Give them silly names and have fun! To make funny faces start with any of Peter's pizza order slips. Don't forget that Frogwart likes different toppings. © 2010 Jerry Jindrich. All rights reserved. Revised 1/25/2016.